Fifty years ago I developed what has become a lifelong fascination with mineral specimens. I was enthralled by these small marvels of nature and have collected them ever since, including gemstones – minerals fashioned by man. What first began as physical attraction later developed into a deep sense of appreciation of the natural beauty of these rare, durable objects found in our planet Earth. But recent events in the field of gems have left me with a deep sense of foreboding. In late 2001, on a buying trip in Bangkok, I purchased a number of extremely beautiful orange sapphires. The color of many fell into the padparadscha region, that sunset drenched lotus land that constitutes the most coveted of all fancy sapphires. From the quantity of stones on offer, only the optically challenged could miss that a new treatment process had been discovered, but with reassurance from the sellers that only heat was involved, I happily bought up a handful of these odd oranges. Back home, I learned these were strange fruit indeed. 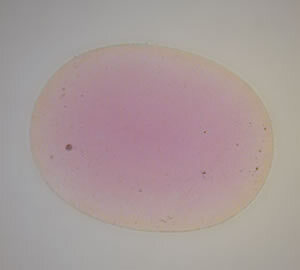 The AGTA lab’s Ken Scarratt had also obtained samples of these citrus sapphires and discovered disturbing orange color rims surrounding pink cores. Conversations over the next several weeks culminated in the revelation by the GIA’s Shane McClure at the 2002 Tucson show that unnatural amounts of beryllium had been found in the yellow-orange layers. In other words, the stones were being artificially colored by the addition of beryllium (Be). Doubtless this treatment was discovered when a piece of chrysoberyl was accidentally heated with some sapphires. But when masses of these once-rare colors appeared in the market (one Japanese lab reportedly certified over 20,000 alone), we should have suspected that this was not just our parents’ home cooking. 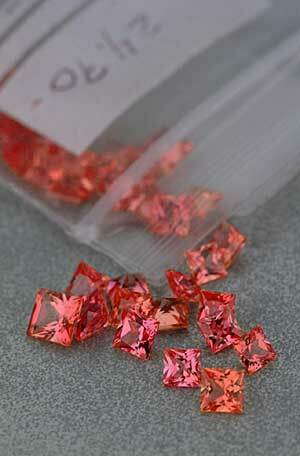 Meanwhile, beryllium treated yellow sapphires appeared, then rubies and still later, blues. By mid-2002, thanks to the work of John Emmett, George Rossman, Ken Scarratt, the GIA and others, we understood the coloring mechanism. But identification was altogether another matter. 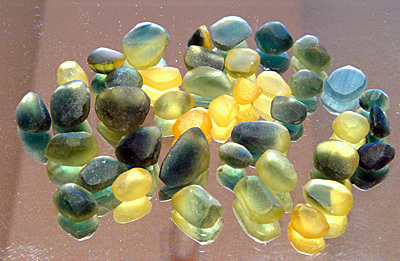 Not all Be-treated stones showed obvious color rims. In many cases, particularly in the yellows, the beryllium penetrated completely through the gem, making it undetectable with ordinary gemological equipment. At a certain point, the coin rolled into the abyss. I realized that, as good a gemologist/ mineralogist as I am – I could not tell when a stone had been berylliumized. Indeed, today most stones require sophisticated analysis at over $400 per sample, and it is unlikely the cost of testing will fall quickly. This revelation shakes me to my core because, as a mineralogist I know that while gem-quality ruby and sapphire is scarce, ordinary corundum that might be treated into gem-quality ruby and sapphire is decidedly less so. Indeed, tons of treatable material are potentially available from multiple localities. Discussions with my friends John Emmett and George Rossman have crystallized this for me. According to these experts, there is probably no sapphire that is naturally heated in the ground over approximately 1400° Celsius. Fine natural sapphires and rubies are subjected to far lower temperatures in the ground than that produced via modern heat treatment. Simply, when world authorities tell me that unnatural acts happen to corundum at temperatures beyond 1600° Celsius, I can clearly read the writing on the furnace wall. 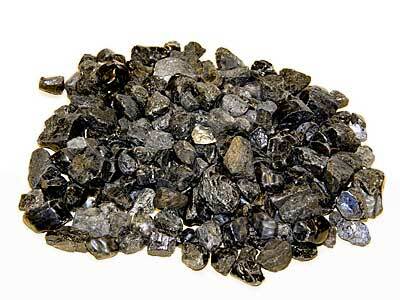 In the past three decades, heat treatment has increased the availability of gem-quality corundum perhaps a hundred fold. But with today’s beryllium treatments and those face-lifts not yet discovered we teeter on the precipice of what might be a 100,000-fold amplification of supply. Can our industry withstand this? There will be those who argue that the increase in supply only serves to sate ever-increasing demand. But such notions cannot withstand even cursory scrutiny. The chart below was compiled from The Guide’s price sheets. It tracks sapphire prices for 3–4 ct. stones for the years 1984–2003. 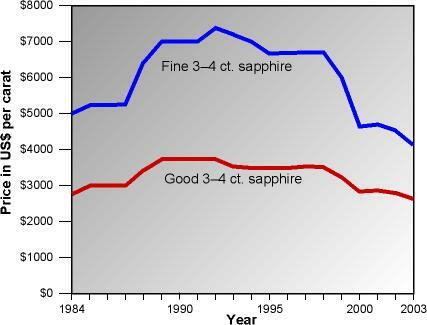 Note that sapphire prices are actually lower today than they were some 20 years ago, even though the demand for sapphires has increased along with the world’s population. Graph tracking the price of 3–4 ct. sapphires over the past 20 years. The Good category corresponds to levels 5 and 6 in The Guide, while Fine represents levels 7 and 8. Price data courtesy of Stuart Robertson of The Guide. What could account for such flat prices? It’s certainly not increased production. The only answer that makes any sense is treatments. Treatments make it possible to use more and more of existing production, thus keeping sapphire prices artificially low. It is not low prices that bother me, but the fact that treated stones raise expectations to unreasonable levels. The sublime beauty of nature is lost. We already see this today in the ruby market – to the degree that treated stones often make it difficult to sell the natural product. Treated rubies from Möng Hsu in Burma have so snookered the senses of the buying public that many no longer recognize the true face of nature. A gorgeous natural creation like the Matterhorn is now reduced to the equivalent of a ride at Disneyland. We have now come to this point: my company will not buy gemstones that are potentially beryllium treated. From now on, we will only purchase stones we can be sure have not been treated in a radical way. If testing is too expensive, we will be forced to carry only natural stones, or those heated at low temperatures. Why? Because corundum is not a rare mineral. It is only rare in gem quality. If treatments can take quantities of non-gem material and turn it into gems, then there will be no more value. I remember when blue topaz cost $50/ct., then $40/ct., going down to $10/ct., and now what is it… $2/ct.? Like corundum, ordinary topaz was never rare. But naturally occurring blue topaz was quite scarce. The moment man figured out how to turn the ordinary into the extraordinary – with no easy way to separate the two – the price plummeted. Top: Rough industrial grade sapphire from Africa prior to beryllium diffusion. Bottom: The same sapphire after beryllium diffusion and then preforming. Tons of such material exists. Now that we have the extraordinary ability to color corundum (a treatment that involves far less sophistication than production of blue topaz), what should be the price for corundum artificially colored by man? What is the difference between artificially colored corundum and a synthetic ruby or sapphire made out of re-crystallizing naturally occurring grains of corundum? These are important questions. Some might dismiss them as philosophical minutiae unworthy of attention. I would say they are fundamental to the existence of our trade, which stretches across millennia of human history. Our trade is a link with the past, both human and geologic, and in that sense, it transcends eras, transcends fads, goes to the root of who we are and where we have come from. Gems whose supply is subject to human ingenuity rather than Mother Nature are common. Therefore, such stones have only the value humans are willing to put on them. Yes, all gems are fashioned by man, but what happens when man’s handiwork extends not just to smoothing out surface imperfections with grit and grinding wheel, but also literally to redecorating the atomic grid? This is where man tries to become god. And where nature – poisoned – falls into the grave. As I said before, not only do I buy and sell gems, but I also collect. These rare natural creations are my passion, among the greatest loves of my life. With the gems I buy, sell and collect, I want those formed by nature. I want no part of playing god or executioner. I’ll leave that to the creator. The Skin Game – by Richard Hughes, covers the earliest developments on beryllium treated orange sapphires in a comprehensive article. Fully illustrated. Posted Feb. 2002. Beryllium diffusion of ruby and sapphire by John L. Emmett, Kenneth Scarratt, Shane F. McClure, Thomas Moses, Troy R. Douthit, Richard Hughes, Steven Novak, James E. Shigley, Wuyi Wang, Owen Bordelon and Robert E. Kane, Gems & Gemology, Summer 2003, pp. 84–135. The author would like to thank Stuart Robertson of The Guide for supplying the price data on sapphire and John Emmett for the photos of beryllium-treated blue sapphires. Thanks also to John Emmett, George Rossman, Ken Scarratt, Shane McClure and James Shigley for enriching conversations on corundum. Title photo © R.W. Hughes.